LANSING — Michigan’s next governor will inherit a litany of environmental challenges, from chemical-tainted waters and Line 5 to increasingly extreme weather because of climate change. The two leading candidates for governor in the Nov. 6 election have environmental philosophies that are mostly aligned with their political parties. Attorney General Bill Schuette, a Republican, has mostly fought government intervention, on grounds that they hurt jobs and businesses. Democrat Gretchen Whitmer, a former Senate minority leaders, has pushed for more regulations and environmental protections. Here’s a look at each candidate’s environmental record and where they stand on current issues. 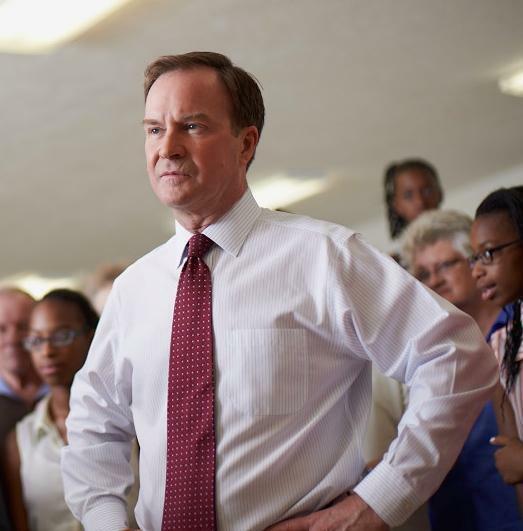 Compared to Whitmer, Schuette has had the larger platform to shape environmental policy — particularly during his two terms as attorney general in a Republican-dominated state government. He repeatedly sued the President Barack Obama’s Environmental Protection Agency, seeking to roll back regulations he called “job-killing,” unconstitutional and overly expensive and burdensome for industry. In some cases, he sued without Republican Gov. Rick Snyder’s support. Curb emissions of mercury and other air toxics. Require states to speed states’ shift from coal-fired power in an effort to reduce greenhouse gas-emissions linked to climate change. Bridge has closely examined Schuette’s record on both of those lawsuits. In 2011, Schuette challenged EPA’s “Cross-state” Air Pollution Rule, which seeks to hold states accountable for pollution blowing across state lines. Attorney General Bill Schuette has found EPA regulations from the administration of President Barack Obama, arguing they would kill jobs. Independent scientific studies continue to conclude earth’s atmosphere and oceans are steadily warming, weather is growing more severe and sea rise is accelerating as snow and ice melts. The U.N. Intergovernmental Panel on Climate Change — comprised of the world’s top scientists — warned this month that global leaders must undertake an “unprecedented” transformation of the global economy over the next decade to limit global temperature increases to 2.7 degrees Fahrenheit and avoid some of the most devastating consequences of warming. Whitmer called climate change a “a real threat to our environment, our economy, and the health and wellbeing of the people of our state,” and said she would join the U.S. Climate Alliance, a bipartisan coalition of governors looking for climate solutions. She also promises to create a Michigan department of the Great Lakes and Fresh Water with an Office of Climate Change. The legislation has thus far failed in Congress. Schuette has also sought to rally other states to push for a federal plan to thwart a Great Lakes invasion of ecologically destructive Asian Carp and other nonnative species. Whitmer also backs strong ballast water rules and says she would lobby for federal legislation requiring the U.S. Army Corps of Engineers to take immediate action to block Asian Carp and other invaders coming from the Mississippi River Basin. Schuette’s office helped negotiate a series of agreements with Enbridge Energy, the Canadian energy giant, that have yielded a plan to replace a portion of Line 5 beneath the Straits of Mackinac with a new pipeline buried in a tunnel 100 feet below the lake bed. That project could take up to 10 years and $500 million that Enbridge would pay. “Creating a tunnel under the Straits means there is a timeline for shutting down the existing pipeline. This is the right path forward,” Schuette said following an agreement this month. Schuette’s office also negotiated a ban on the flow of heavier crude oil through Line 5 — a substance that would prove tougher to clean up following a rupture. Several environmental groups say the tunnel idea would take too long and fall short in protecting the Straits. They have pushed for a complete shutdown of Line 5 without a replacement and they have scolded Schuette for not going to court in an effort to revoke Enbridge’s right to use the state-owned lake bottom. Whitmer is among those critics. In January, Schuette’s office sued shoemaker Wolverine Worldwide, an effort to hold the company accountable for PFAS contamination and cleanup costs in Kent County. The lawsuit came one day after the Michigan Department of Environmental Quality established a legal threshold for requiring cleanups of PFAS. In July, Snyder instructed Schuette to file a lawsuit against 3M, the Minnesota-based chemical giant that manufactured many of the PFAS-laced products that may be responsible for some contamination of the state’s waters. Schuette has yet to file the suit. Both Schuette and Whitmer pledge to focus on cleaning PFAS-tainted waters. But Whitmer, unlike Schuette has called for an investigation into why Snyder’s administration didn’t act sooner on PFAS. Whitmer served in the Michigan House from 2001 into 2006, followed by nearly a decade in the state Senate. That included a 2011-2015 stint as Senate minority leader. In 2008, Whitmer voted against legislation establishing Michigan’s system for handling major water withdrawals under the Great Lakes Compact. That’s the regulatory framework environmental regulators used to evaluate — and ultimately approve — Nestle’s controversial bid to expand pumping outside of Evart for its bottling plant. Groups such as the Michigan United Conservation Clubs, Michigan Farm Bureau, Michigan Chamber of Commerce and Michigan Manufacturers Association backed the legislation at the time as a sound science-based way to protect against over pumping. But several environmental groups said the measure would do too little to protect vulnerable rivers and streams. Whitmer has since campaigned on the Nestle issue, criticizing the Department of Environmental Quality for allowing the withdrawal for little more than $200 fee (most states charge little for water bottling). “We need a way to control the siphoning of water for water bottling,” a Whitmer policy document says. Schuette has supported the Nestle decision, calling it science-driven. His most high-profile Great Lakes Compact-related action came when he opposed an application from Waukesha, Wisc. to withdraw 10 million gallons of water from Lake Michigan. Schuette expressed disappointment when all eight governors under the compact — including Snyder — approved the diversion. In 2007, Whitmer was among 17 sponsors of legislation requiring Michigan electricity providers to meet a 20 percent renewable energy standard by 2021. That bill did not pass, but Whitmer ultimately voted for successful legislation: a renewable standard of 10 percent by 2015. Michigan has since boosted its renewable standard to 15 percent by 2021. Schuette called the current 15 percent standard “a pragmatic decision” and “about right,” in an interview with Michigan Capitol Confidential, a publication of the Mackinac Center for Public Policy, a free market think tank in Midland. Useful article. Thank you. Sadly, both candidates are listed for what their against (Schuette has filed suit against federal legislation; Whitmer has voted against several bills: some bad, some which were effective compromises). Not so much info on what their positive agenda would be for protecting Michigan's environment and the Great Lakes. 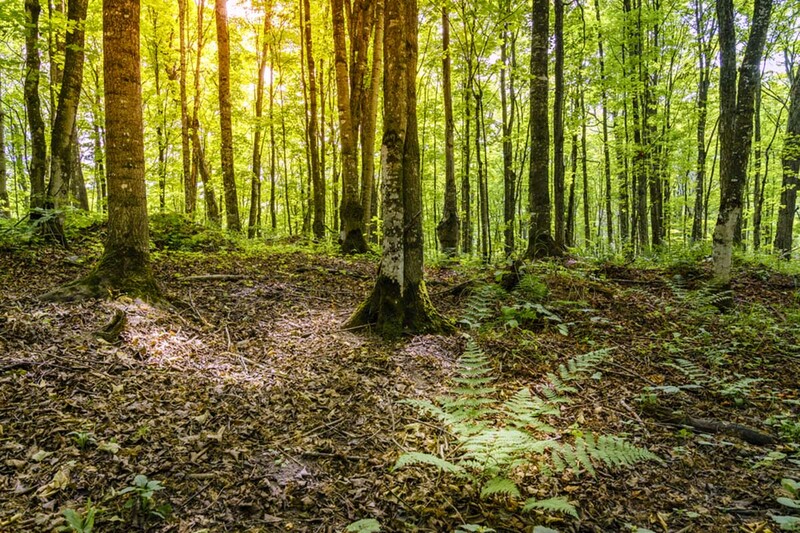 It's a reminder that conservationists need to keep engaged on the issue, and work to build a bi-partisan, pro-environment public consensus, and not rely on any one party, or Governor, to carry out an environmental mission. This says it all about Schuette and his tenure as state AG and the environment. Regarding climate change, I recently traveled to Africa, where it was pointed out to our group the different rock structure of mountains and what caused it.The definite dividing line between rock structure was 800 feet above sea level. Mankind is about 60,000,000 years old. I could believe that at some point in the future, maybe millions of years in the future, that the sea levels will once again be 800' higher than they are. And perhaps, like the disappearance of the dinosaurs, there will be some event that causes massive declines in population. What disturbs me most though, is that people seem to rely on government to "fix the problem". We have such an infatuation about driving the largest SUV, or living in a house that is 3 or 4 times as large as we need, or using energy like it was an infinite reservoir. As an engineer, conservation of energy is a biblical principle. Where is the cry for people, you and me, to reduce our carbon footprint? Why must we wait until or if government makes some law to do the reduction? We need government policies to ensure effective and equitable actions to reduce climate impact. Yes, individuals have a large degree of responsibility to take action, and many are; many more would be willing if we had a structure that encouraged them and made it easy. For example, federal standards have led to the development of electric vehicles and other cars that have a smaller carbon footprint; these appeal to many buyers (myself included), but without government they would not likely be available. Or, state or federal government could implement meaningful pricing on carbon use; that would reward people and companies for taking individual actions and spur more innovation from the private sector. Several approaches worth taking, but we need to get going on efforts to fight climate change. Not sure how you go about that either. Would a $2 plus a gallon gas tax make people think about where how and what they drive or travel in general, (airplanes, trains and boats emit carbon too!)? Would a $X ton/kilowatt of coal or gas make electricity consumption a more conscious activity? What about manufacturing, a lot of carbon emitted there up and down line? It would need to be disclosed upfront and center to have any effect on behavior. I'd rather see this approach than a bunch of Rube Goldberg rules fashioned by politicians and who ever has the best lobbyist or most political power at the moment . Could be thought of as a sort of consumption tax. Thanks for reading and commenting, Henry. It's worth noting that a significant chunk of Patrick Michaels' work has been funded by fossil fuel interests. In 2011, he said roughly 40 percent of his funding came from such sources. "We don't see the world as it is, we see it as we are". I am finding this statement to be very true in relation to far right conservatives who bring out articles that disagree with 98% of every other scientist rather than looking at all sources and comparing the information from all sources. You can continue to deny the truth of what is happening with the climate, or you can be constructive and meet halfway to come up with solutions. We currently do not have a representative government. It has been gerrymandered for the past 8 years so one party has been in power. This creates a "candy shop" mentality among legislatures who think they can have and get as much candy (deregulation, cut taxes, gerrymander) as they want. This has not been healthy for Michigan at all. There has been no compromise, there has been so much misinformation, and no reason for this one party system to do anything different. Think about the next generations and the legacy you are leaving. Thanks for this informative article. Other issues: oil and gas drilling (fracking); wind power; ground water contamination; CAFE (concentrated animal feeding operations); road salt contamination; recycling an solid waste disposal. There are others. >>>>"Schuette’s office helped negotiate a series of agreements with Enbridge Energy, the Canadian energy giant, that have yielded a plan to replace a portion of Line 5 beneath the Straits of Mackinac with a new pipeline buried in a tunnel 100 feet below the lake bed. That project could take up to 10 years and $500 million that Enbridge would pay." The tunnel plan does not envision a pipeline being "buried" in a tunnel. The proposed tunnel will be bored with a tunneling machine...not buried....and when it is completed, the pipeline will be drawn through the tunnel. Moreover, Enbridge's engineering consultants who developed the proposal say that permitting, design and construction would be achieved in 5-6 years.....not 10 years, which appears to be a spurious number generated in news articles which is not attributed to either Enbridge or its engineers. On Schuette's efforts against President Obama's Mercury and Air Toxics rule, your article neglected to mention that Schuette's litigation came during an interval after which most coal fired power plants had already come into compliance with the rule by installing mercury emission control equipment.....so Schuette's litigation, had it been successful, would enable these coal plants to remove or not operate such mercury emission controls. Unfortunately, the Trump Administration EPA is presently engaged in an effort to re-visit the required finding basis under Section 112 of the Clean Air Act for these mercury control rules....and to try to achieve the same mercury emission control relaxation that Schuette previously sought.